Packed with cutting-edge features in a stylish body, the Vivo V11 Pro was introduced to Indian crowds today at a high-profile event held in Mumbai attended by the Chinese smartphone manufacturers. Bollywood superstar Aamir Khan as well as the stars from the tech world attended the event that was also live-streamed on Vivo’s YouTube channel. Let’s take a closer look at all the amazing features Vivo’s latest smartphone has to offer. The first design feature that catches the eye is the V11 Pro’s waterdrop notch design to compliment its 6.41-inch full-HD+ Halo FullView 3.0 Super AMOLED display with a 19.5:9 aspect ratio. The phone will be available in two stylish colour variants—Dazzling Gold and Starry Night Black. At the back, the V11 Pro sports a pair of vertically stacked rear cameras with a 12MP sensor and a 5MP secondary sensor coupled with an LED flash and 'dual pixel' tech for better low-light photography and fast autofocus. The front cam is just as exciting—a single 25MP selfie camera with AI-powered features and AR stickers called FunMoji. 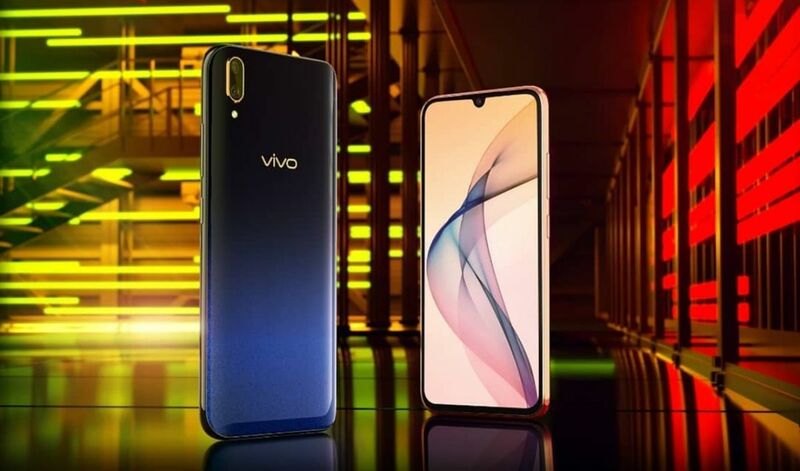 The Vivo V11 Pro is powered by the octa-core Qualcomm Snapdragon 660 processor with an AI engine and an Adreno 512 GPU coupled with 6GB RAM and 64GB internal storage. It runs Funtouch OS 4.5 on top of Android Oreo and the 3400 mAh battery also supports dual engine fast charging. "The in-display technology is rapidly developing and it would be a good idea to watch out for the Vivo V11 Pro for its offerings in this segment" Thank you, @timesnow for yet another amazing review! The biggest USP of the Vivo V11 Pro however is its in-display fingerprint sensor which it claims is 50 per cent more accurate than the Vivo Nex. The Vivo V11 Pro has been priced at INR 25,990, making it Vivo’s cheapest phone to come with an in-display fingerprint scanner. The phone can be pre-booked on Amazon India with sales starting September 12. Vivo has also taken the admirable step of donating a portion of the sales to aid relief work in Kerala. If you’re ready to #UnlockTheAmazing, as Vivo puts it, this is the smartphone for you!